The CortiSystem is a two part weight loss system that consists of a calorie reducing product called CortiSystem Trim and a detox pill called CortiSystem Detox. Both products rely heavily on proprietary blends, so there is no way of knowing if they contain effective quantities of ingredients. 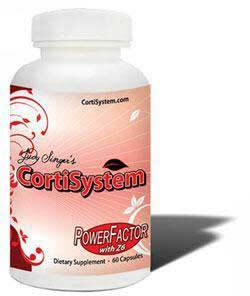 The CortiSystem is one of several weight management products available from Judy Singer’s MetaSystem website. If you’ve never heard of Judy Singer you are not alone. We hadn’t either, but she’s apparently a lady who used to have a severe weight problem. Nothing worked for her until a friend suggested she try MetaSytem. According to her story on the official website, the system worked like a charm so she became a distributor and eventually worked her way to become the company spokesperson and exclusive marketer. It’s a nice story but there’s still no escaping the fact that there is no evidence to show either product is capable of working in the intended way. Nor are there any customer reviews and this is an expensive weight loss system that’s sold without a money back guarantee. Claims : It is designed to provide consistent weight loss without the risk of reaching a plateau that might slow the process or bring it to a stop. MetaSytem products appear to be designed to provide consistent weight loss without the risk of reaching a plateau that might slow the process or bring it to a stop. This is apparently because the products approach weight loss from the “inside out” by using unique, proven, all-natural herbal formulas. Diet and exercise is an important part of the system as is the fact that customers are given telephone access to trained weight loss counsellors. In a nutshell, CortiSystem Trim capsules are are intended to boost energy levels, suppress hunger and help the body to burn extra calories. The detox capsules prevent the accumulation of intestinal waste and toxins that may slow the metabolism and have a negative effect on the health. It all sounds good in theory, but most things do. It’s getting theories to work that’s the hard part. Proprietary Blend: Guarana (33% extract providing 17mg naturally-occurring caffeine), Hoodia Gordonii Cactus Powder, Green Tea (50% extract), Magnolia Bark (1.5% extract), Glucomannan, Theobromine (99%), Cha de Bugre (herb powder), Maca Extract (0.6% macamides), L-Theanine, Banaba (1% extract), and Gugglesterone. Proprietary Blend: Psyllium Husks, Aloe Vera Powder, Black Walnut Hull Powder, Bentonite Clay, Oat Bran Powder, Flaxseed Powder, Prune Powder, L. Acidophilus, Apple Pectin Powder and Gluccomannan Powder. The Trim capsules Contain 200mg of caffeine. That’s the equivalent of two cups of coffee and there’s a further 17mg provided by guarana. Green tea is also a source of caffeine and most of the other ingredients are stimulants as well, so there is no doubt about this formulation’s ability to boost energy levels. The problem is a lot of people may not be able to handle so many stimulants delivered together, so there is a good chance the formulation will cause side effects including jitters and, of course, a caffeine crash. The good thing about caffeine is it’s a proven fat burner, as is green tea, which is certainly one of the better ingredients. Hoodia is alleged to be an appetite suppressant, but it’s value is highly disputed and further study is needed. Chromium is a good addition though. It helps prevent the fluctuations in blood glucose levels that can trigger a desire for sweet food. The detox capsules that form the second part of the CortiSystem contain a lot of fibre that should be good for exercising the intestinal muscles and will almost certainly have a laxative effect. If the inclusion rates are sufficient, the blend may very well do what it’s designed to do, but the wisdom of long term laxative use is highly questionable. Usage Instructions – One (60ct) Brown Herbal CortiSystem Trim capsule is required two times per day. If two capsules are taken, the first one of the day should be consumed in the early morning, followed by a second capsule during the early afternoon. One to two (90ct) Brown Herbal Detox capsules are also required per day and should be taken at the same time as the CortiSytem capsules. The Judy Springer MetaSystem website does not provide customers with a feedback facility and we were unable to find any customer reviews published elsewhere. Judy Singer’s MetaSystem website does not state if side effects have been reported, but the CortiSystem will not be suitable for women who are pregnant or nursing an infant. The Trim capsules contain a lot of stimulants, so we suggest all potential users ask their GP for advice prior to using the CortiSystem. CortiSystem appears to be exclusive to the manufacturer’s website. The regular price is $119 (£89) but at the time of this review it had been discounted down to $89.95 (£67.50). Shipping is extra and customers in the UK are looking at a cost of around $15 (£11) on top. CortiSystem is an expensive product sold without a money back guarantee. It will undoubtedly has some value as a weight loss aid because each dose provides 200mg of caffeine and the ingredient is known to have value as a weight loss provider. The other ingredients used in the two formulation may also help the product do some of the things its designed to do, but it contains too many stimulants and there is no escaping the fact that the laxative effect provided by the detox pills may purge the intestines sufficiently to give a false indication of weight loss. The fact that customers are given access to weight loss counselling is excellent, it’s just a pity the CortiSystem is not a better product. If you are serious about reaching your weight loss goals in a safe and natural way (without paying through the nose) we suggest you give this one a miss and try one of our approved weight loss products instead. In our opinion PhenQ is the diet pill of choice – it is multi faceted and has been subject to numerous positive reviews from both customers and industry experts. 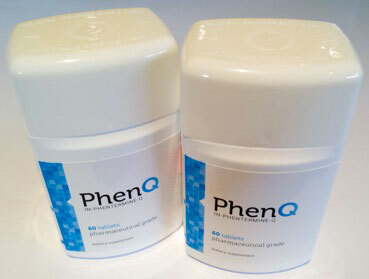 PhenQ can burn excess body fat – it can also stop fat from being absorbed as well as suppress appetite.